Informative articles on current areas of interest in the Down syndrome community. VOICES Magazine and 21 Magazine are exclusive publications available only to members of the Canadian Down Syndrome Society. 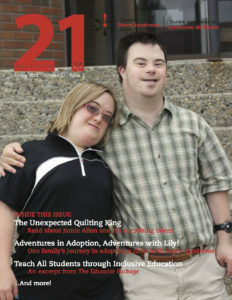 21 Magazine features articles relevant to people with Down syndrome and their families. Topics include ongoing activities at the Canadian Down Syndrome Society, current events involving individuals with Down syndrome, and member submitted content. 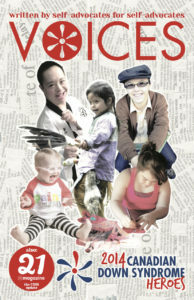 VOICES magazine is North America’s only magazine written by and for people with Down syndrome. It is an integral part of a CDSS initiative to recognize the voices and abilities of Canadian adults with Down syndrome. Already a member? Access your publications by logging into your account.